The world recognized two memorable anniversaries in the past week, one famous and one infamous. 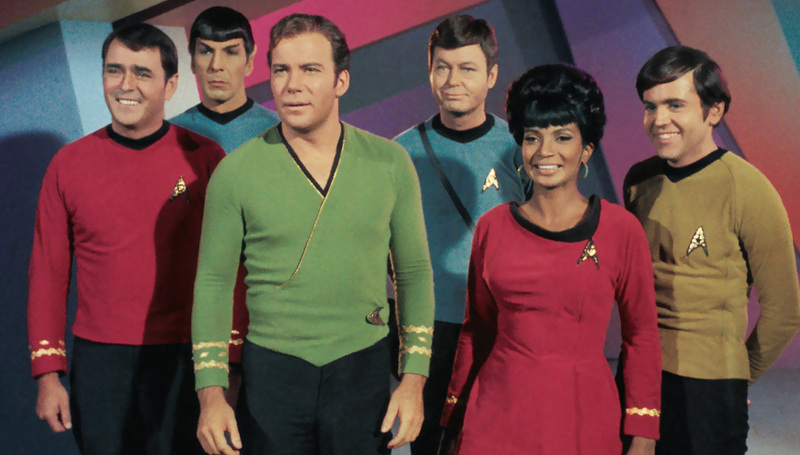 On September 8, 2016, enthusiastic fans of the original Star Trek series celebrated the 50th anniversary of the groundbreaking series’ premiere on NBC in 1966. On September 11, 2016, Americans mourned on the solemn 15th anniversary of the 2001 heinous attacks on the World Trade Center and the Pentagon perpetrated by Al Qaeda terrorists. These two anniversaries presented a stark contrast. September 8 was a celebratory day of remembrance for the hopeful vision of the world’s future that Gene Roddenberry posited back in the second half of the 20th century. One hundred eighty degrees in the opposite direction, one of mourning, the September 11 memorial brought back the pain of loss but also served as a compelling reminder of American resiliency in the stark, depressing reality of early 21st century life in the shadow of terrorism. If you’ve read some of my previous posts, you know that I’m a longtime devotee of science fiction and a fan of Star Trek. The original series captured my imagination not only because of its representation of future technology and space travel, but also because of its portrayal of a peaceful future in which all people are equal, tolerant of others and the beliefs of others, and in which Good always triumphs over Evil. Members of the bridge crew of the starship Enterprise are a visible representation of Star Trek’s positive view of the future. They are of various races and nationalities working together as a team of equals. Communications officer Lt. Uhura is a black female in a position of authority, something virtually unknown for blacks and women on TV programs in 1966. It was the reason Dr. Martin Luther King, Jr., urged Nichelle Nichols not to quit when she contemplated leaving the show. Helmsman Lt. Sulu is Japanese, an officer rather than a spy, ninja, or house boy as many asians were cast back then. Navigator Ensign Chekov is Russian, included in the cast despite America and Russia being opponents in a Cold War at the time the series was broadcast. Science officer Spock is a mixed race alien, human and Vulcan, at a time in our history when mixed race couples and their offspring were the targets of much intolerance. In many of its episodes, Star Trek spat in the face of racism, politics, and militarism. The show and its writers got away with it because Star Trek was pitched as Wagon Train to the Stars, was set in the future, and because clueless network executives at that time thought the scripts had nothing to do with what was going on in the present day. Flash forward to the reality of today. In the 21st century, Earth is in the infancy of space travel, but equality, tolerance, and peace are still beyond the reach of its people. Aside from being engaged in war after territorial war, and dealing with rogue nations such as North Korea and Iran that have acquired nuclear capability, the more civilized nations of the planet are increasingly under attack from several Islamic terrorist organizations, Al Qaeda and ISIS being chief among them. These fanatical terrorist organizations have carried out barbaric attacks against western civilization and on followers of religions other than Islam. They have zero tolerance for non-Muslims, they discriminate against and enslave women and refuse to allow them to be educated, and they persecute and execute those who practice alternative lifestyles such as homosexuality. They have no respect for life; they are a cult of death. They have formed a caliphate and mean to impose their perverted version of Islam and sharia on the rest of the world. None of the above could be farther from the positive vision of Star Trek. On Saturday, I enjoyed watching a Star Trek 50th anniversary marathon on BBC America. I sat through episode after episode, each portraying a hopeful view of the future. On Sunday, I grieved as I observed the 9/11 memorial ceremonies at Ground Zero. I still remember my shock and disbelief when I watched the horrific events of that day unfold on live television, how I wept when the towers fell, and how I couldn’t stop weeping afterward. I will never forget that day. Our world is a troubled and dangerous place at present. In the current battle between Good and Evil, it is possible that Evil may triumph because Good has grown weak and does not have the will to fight hard enough to win. Life under the tyranny of unrelenting Evil does not bode well for building a future of tolerance, equality, and peace. Quite the opposite, in fact. Pity. 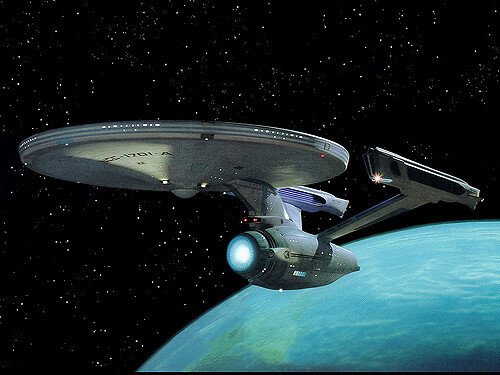 It would be such a blessing if the world of today and the world of tomorrow were more like the world of Star Trek.